Before the fifth and final one-day series against India, the New Zealand team has suffered a lot. 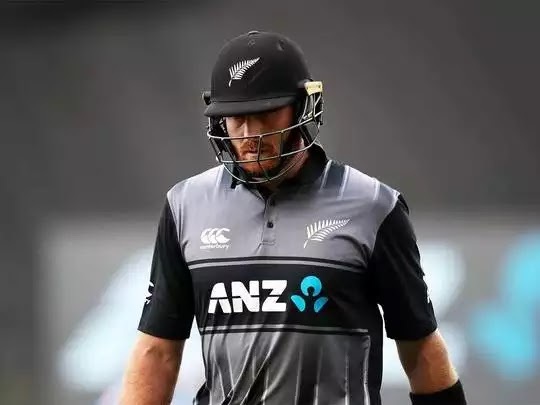 Martin Guptill is in danger of being out of the match due to injury in the lower back. The New Zealand opener was injured on Saturday during Fielding Practice. It is decided to return to Colin Munro's team in absence of Gਪਟil. In the first three games Munro scored 8, 31 and 7 runs. After that he had to sit outside in the fourth match of the series played at Hamilton. In this match Henry Nicholas started with guitill. Chasing the target of 93 runs, he scored 30 not out. Tweeted by New Zealand Cricket: "Martin Guptill is skeptical of playing in the fifth one-dayer to be held on Sunday. During this fielding practice this afternoon, he suffered a back injury. Physiologist Vijay Vallabh of New Zealand team has examined GCPL and he will be tested once and before the match tomorrow morning. Colin Munro will join the team tomorrow morning. " Meanwhile, Indian team's batting coach Sanjay Bangar has confirmed that Mahendra Singh Dhoni's return to the team for the fifth ODI. Dhoni suffered a muscle injury during the second ODI match. Because of this, he did not play in the third and fourth ODIs.